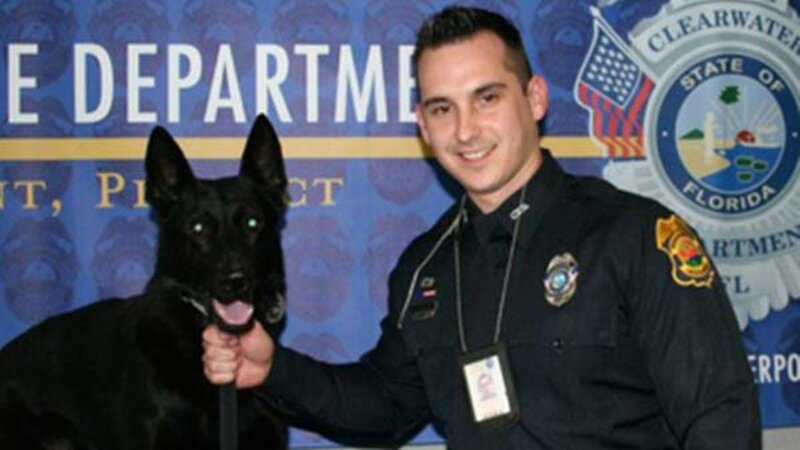 CLEARWATER, Fla. -- A Florida police officer wrote a heartbreaking letter to his K-9 after he had to be put down - a day he called "the most difficult" of his career. In a letter posted on Facebook, Sgt. Michael Spitaleri recalled his first impression of Major when they first began K9 training together in 2008. "I thought you were small and you appeared to be a bit timid at first glance. I honestly didn't know if you had what it took to be a police dog," he wrote. "I quickly learned my initial assessment was wrong. You proved yourself to me time and time again." As he described their successes over six years on the Clearwater Police Department together, Spitaleri admitted much of the credit belonged to Major. "You made me look like a superstar at times; truth be told, I was nothing more than the guy who held your leash," he wrote. Then, when Major had to retire due to medical conditions in 2014, Spitaleri and his family took him into their home. "Just like you looked out for me every single shift, it was my turn to look out for you and protect you,'" Spitaleri wrote. After making the decision to end Major's suffering, Spitaleri gave his partner one last command: "Please go find the nearest police officer when you get to heaven and tell them you are a police dog and you are reporting for duty."